Among Roulette, Sic Bo, Craps, Baccarat and Multigame, we at Spintec are working on adding one more game to our list. When listening to operators’ feedback and their wishes about new games, it all narrowed down to one game, Blackjack. And so, for the past couple of months Spintec’s research and development team has been busy working on making the greatest Blackjack there is on the market. We’ve put together a game full of exciting functionalities that are flexible and can be adaptable for every casino floor separately. That’s what makes Spintec’s products so distinguishable from our competition and that’s what operators appreciate most about us and our products. Blackjack will be presented for the first time at ICE London in February 2019. Visitors will have a chance to take a first look at Blackjack on Spintec’s Aura product line in virtual technology. 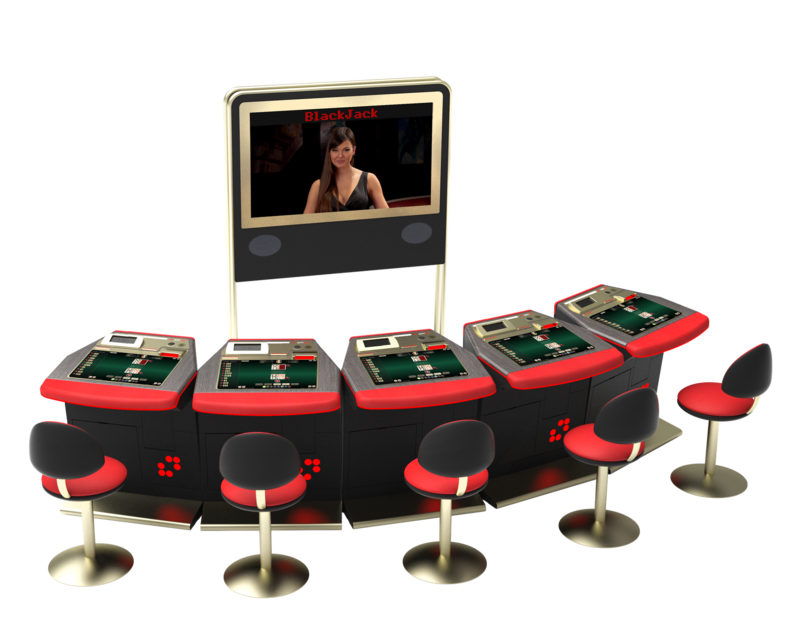 Attractive virtual dealer on the big screen will have visitors and later players on the casino floors, hooked with adrenaline rush to play. This all means longer gaming sessions and higher revenues for the operators. Later in 2019, the Blackjack will also be available in live technology. Months leading to ICE London will be very busy for Spintec’s R&D team to polish the product and make it look and feel as outstanding as it can be. Make sure you take you time and try it at stand #S8-220. Contact Spintec’s sales team to book a meeting at or stop by directly at our stand. We will be more than happy to meet you and show you around.